As women’s sports continue to be a rising topic amongst sports enthusiasts, can you think of a South Asian female in this industry? You may say great athlete Sania Mirza (Indian professional tennis player) or journalist Aditi Kinkhabwala (Reporter, NFL Network), however, there are others. South Asian women continue to make a big splash in this industry and as it seems right now the number will only continue to grow. But, who are some of those other women making an impact in sports? Give us an introduction about yourself, and include where you are from and what you have done/do in the sports industry. “My name is Neena Chaudhry. My parents came to the U.S. from India in the 1960s and I’m one of the first generations in my family born here. I grew up in Maryland, went to the University of Maryland at College Park where I majored in economics and minored in mathematics. Then I attended Yale Law School, clerked on the Ninth Circuit, and through a women’s law fellowship landed at the National Women’s Law Center, where I am an attorney in the education and employment group. Share one or two recent stories of how your work has impacted the industry. “I advocate for girls to get their fair share of sports opportunities and for girls’ sports to be treated equally in terms of benefits and services such as facilities, equipment and publicity. What is something you did to overcome those barriers (family, co-workers, perception, etc.) that come along with being a South Asian woman in this industry? What would you want to tell folks that are just learning about South Asian women in this industry? NU Headshots October 23, 2013 in Evanston, Ill.
Give us an introduction about yourself, including, where you’re from and what you’ve done/do in the sports industry. 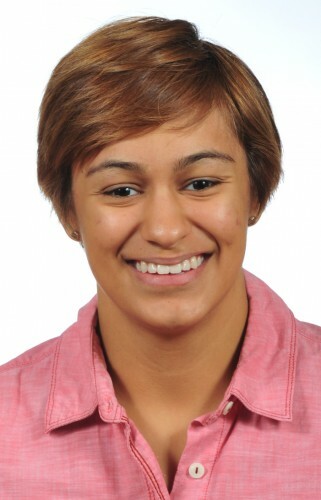 “My name is Alisha Gomez-Shah and I am originally from Mexico City, Mexico. I am half Mexican (on my dad’s side) and half Indian (on my mom’s side). But I now live in the United States in New Jersey and go to school at Northwestern University in Evanston, Illinois. I will be a junior at NU and I am a three-year varsity (Division I) starter for Northwestern’s fencing team. I am very involved in the athletics department in several ways. I was a squad captain my second year at NU and this coming season I will be the overall captain for my team. “Through working with athletics administrators on Engage, it has helped me see and realize the importance of supporting one another in every way possible. 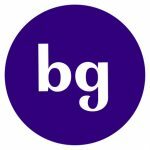 Through Engage’s programming I have been able to give other student-athletes a space that allows them to talk about inclusion and diversity within athletes and Northwestern [University]. We also talk about some problems student-athletes run into while trying to balance our dual roles at Northwestern. What is something you do to overcome those barriers (family, co-workers, perception, etc.) that come along with being a South Asian woman in this industry? “Sit and talk, try to get family members to understand that what I do is very important for me and that it doesn’t take away from my educational experience. If anything, it gives me more opportunities to expand my own sense of self and learn about myself by putting me in spaces that I may not be comfortable in. Give us an introduction about yourself, and include where you are from and what you’ve done/do in the sports industry. 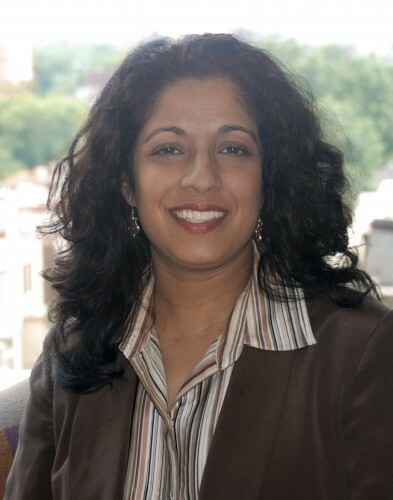 “My name is Nandini (Nandi) Mehta and I was born in Boston and raised in Lexington, MA. I have an older brother, younger sister, two German Shepherds, and two of the most supportive parents I could ever ask for. 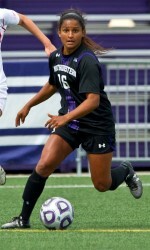 I am going into my second year as captain of the Northwestern Women’s Soccer team. I have also taken up numerous positions where I provide a voice and a vote for student-athletes within Northwestern, the Big Ten and a large part of the NCAA. I am the co-president of the Northwestern Student-Athlete Advisory Committee (SAAC), a member of the Big 10 SAAC, and 1 of 15 student-athlete voting representatives in the NCAA Autonomy Group. “The biggest impact my work has had on the industry came at the 2015 NCAA Conference. This was the first time the full 65 schools and 15 student-athletes that are part of the Autonomy Group met in person. There were five or six major proposals up for vote, and one that I felt especially passionate about had to do with prohibiting non-renewal of or diminishing scholarships from year-to-year. I have always felt very passionately that scholarship amounts should be guaranteed for the entirety of the athlete’s eligibility. I essentially challenged the room to consider what the difference is between a salary and a scholarship, if we allow scholarships to be diminished or non-renewed from year to year depending on athletic performance. I also raised the point that the scholarship is the only way for many athletes to afford the education they are getting. I was one of the last people to speak, and in the end, the proposal passed by less than 5 votes. I know that what I said played a role in swinging that vote just far enough. “To be honest, I have faced very few barriers that one would typically attribute to a South Asian woman. For my entire life, I have been into sports and when I was little I was a huge tomboy. “There is no other industry in the world that crosses cultures, races, genders and continents as much as sports. It brings us together through a common passion, and all of us South Asian woman who have made it in this industry have a huge dose of this. Although I have not faced many barriers in being a South Asian woman in this industry, many of us have and we have still made it. 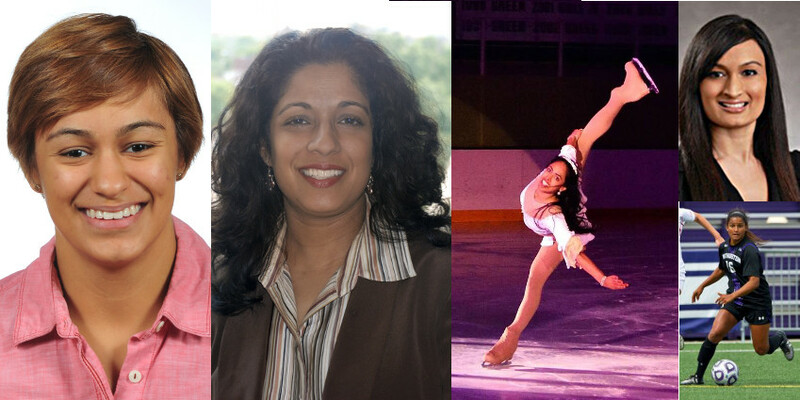 “I am a Gujarati figure skater born in New Jersey and family is originally from Mumbai. I competed seriously in figure skating in the U.S. for many years, in regional, sectionals and junior national competitions. When India became a provisional member of the International Skating Union (ISU), I then went on to be ranked first place in the Indian National Senior Figure Skating Championships from 2004-2007 and 2010-2014. I represented India at international competitions between 2006- 2007 and 2012-2014, and I became the first figure skater to represent India at the ISU Senior World Figure Skating Championships. During many of those years, I was also was part-time coaching and performing at shows in the U.S. and in India. I retired from competitive singles skating in March of last year and have settled in Chicago for now. I have kept up with skating by skating at local ice shows (there are many ice rinks here) and coaching others. Mainly, I have been teaching children and adults how to start skating on ice. “I can’t speak for myself, but others have said that my skating performances and practice have been inspiring and fun to watch. What I do know is that for me, artistic skating is a means for me to share emotions and stories. Skating is also a means through which I can (at my own pace these days) constantly push my own boundaries and dare myself to face any small fear or doubts that I may have that day, on the ice. It is empowering for me, and it has also been my main go-to to stay fit. Coaching has been exciting as well; hopefully more so for my students than for me. I have been teaching some of my regulars for over two years now on weekends, and it has been amazing to see how they have matured both on and off the ice. For example, analogies and vocabulary they would never understand a year ago makes much more sense to them now. As we have gotten to know each other, our coaching relationship has evolved too. Each child’s psychology, emotions, technical difficulties, and behaviors constantly challenge me all the time, and for the most part I love it. “Sharply defined gender roles and a strong emphasis on patriarchy played a big part in my parents’ generation. And, there were no sportsmen in my family. However, I was too young to understand these barriers and I excelled for the sake of excelling at my passion. My single mother had dedicated herself to taking me to the rink every day so that I could pursue the sport that I also worked hard at and slowly, but surely also excelled at. And she was there with me every step of the way, taking care of my outfits, makeup, travels, diet, habits, discipline and injuries. She protected me from those barriers that did accompany being a South Asian female athlete. As I got older and more independent, those barriers became more apparent to me and it wasn’t easy to deal with because they can work in elusive ways on the psyche sometimes. “I would tell them that South Asian women make super exotic athletes! Just kidding. I would tell them that South Asian women comprise a variety of personalities and can be cool people to get to know. And, if they are dedicated and have the support system, they can be great athletes too! “Born and raised in a big sports town such as Chicago, it’s no wonder I ended up in the sports industry. Upon graduating from Marquette University with my Bachelor of Arts in broadcasting, public relations and Spanish literature, I originally launched my career as a sports reporter. I was fortunate enough to land stints in TV, radio and print, allowing me to experience the full spectrum of sports journalism. The recessive economy eventually rerouted me to public relations, where I’ve happily spent the past six years of my career. After managing PR for a few local sports organizations, I now serve as the Director of Public Relations for the NFL Players Association—Chicago Chapter and its charitable arm, the Retired Professional Football Players of Chicago. “One of my favorite stories to share is of a crisis management incident with a sports organization, where I served as the Director of Public Relations. We had a player who was verbally attacked by a fan in the stands during one of our games. This fan had apparently been shouting racial slurs at our player, who in response jumped into the stands and chased the fan down, which led to a physical altercation that left everyone in the arena stunned. As you can imagine, we got a lot of calls and comments from angry fans following that incident, questioning the integrity of our team, staff and organization. From the outside, it appeared as though one of our players simply went berserk and lashed out at a random individual. And, understandably, many of our fans felt unsafe and uncomfortable bringing their families to another game. It was clear that this had turned into a PR nightmare and called for some immediate damage control. My team and I met with the senior management of the organization the next day to strategize and devise a course of action. While my boss wanted to try to sweep it under the rug and allow time for fans to cool off and forget what happened, I advised we handle the matter head on and issue a formal statement. I immediately drafted an apology on behalf of the organization, accepting full responsibility for the action of the player involved and assuring our fans that we have taken disciplinary action against him. But I also included an explanation that disclosed the nature of the altercation and the fact that it involved a fan shouting racial slurs at one of our players, which is also unacceptable. I then released the statement not only to our fan base, but to the local media. I even called publications and stations to personally pitch the story, spinning it as a topic much bigger than sports; this was about discrimination and its existence in modern day sports. That angle generated a lot of interest, and the next thing I knew major media outlets were contacting me to cover the story and speak with the player who was attacked. After the story broke, we experienced a significant spike in our attendance at the next game and an outpour of support from fans and local community members—many of whom brought signs with encouraging words for our player, who just a few days prior had been condemned for his actions. “It’s never easy when you’re among the minority in any industry or situation—and it is even tougher when you have to face a double barrier in race and gender. I’ve come across many challenges in this area throughout my career, but something that has worked for me in overcoming these challenges is vocalizing issues as they come up. I wasn’t always good at this, especially early on in my career when I feared that voicing my concerns any time I felt I was being treated unfairly or differently than my male counterpart would lead to unnecessary conflict in the workplace and potentially result in a job loss for me. 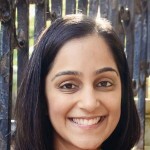 Neha S. Contractor is originally from Chicago, IL and currently lives in the Washington D.C. area. She’s focused on building a platform and having a voice for South Asian women in sports. 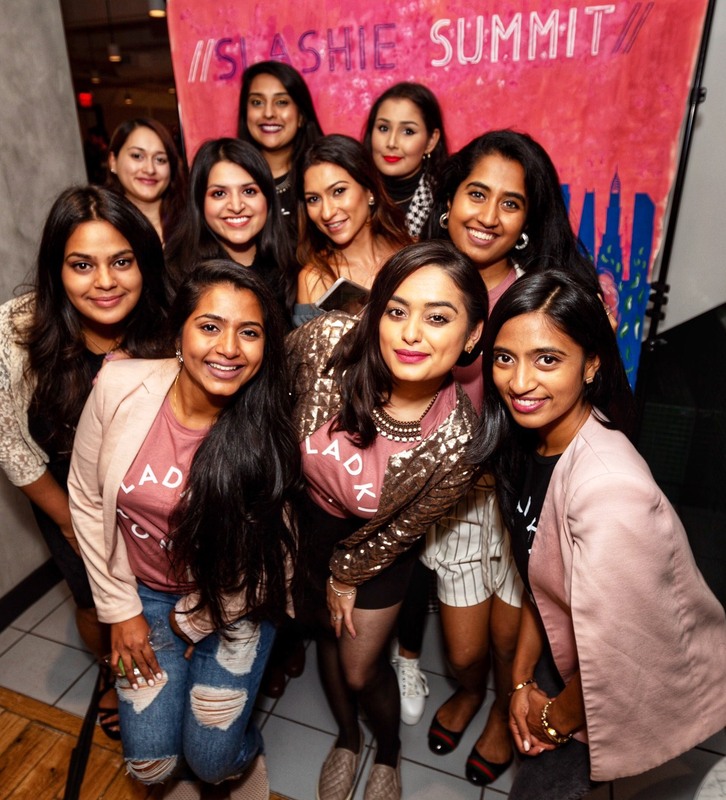 She hosts a Twitter chat called South Asian Women in Sports (#SAWSports) that focuses on various topics throughout the industry which brings the community together and allows one another to have a voice. To learn more about South Asian women in sports contact her on Twitter.